Flowers are supposed to be obvious. After all their job is to attract pollinating insects or birds, a story as old as the birds and the bees. But sometimes the show is less about being showy, and more about being smelly. In the case of the sassafras tree (Atherosperma moschatum), smelly is an unkind and inaccurate adjective. Find yourself among sassafras at the right time, say early spring in Tasmania’s wet forests, and you may be treated to a feast of fragrance. The first time I caught the scent I had no clue as to its origin. It took an old time bushie to point out the source of the rich scent that had my head reeling. Sassafras flowers are found on the underside of branchlets and are often hidden by the leaves. 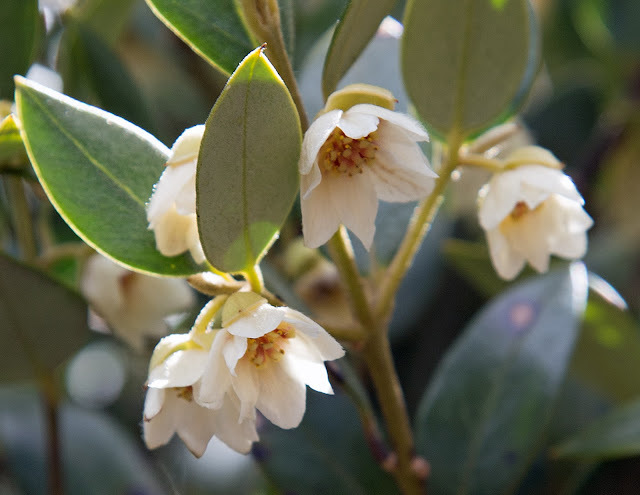 Or at least until they fall, and spread a carpet of beautiful creamy-white, star-shaped flowers that light up the forest floor like a night sky. Sassafras trees, which are found in rainforest from Queensland through to Tasmania, have another secret. They have an intricate and intimate relationship with a butterfly, to name names the Macleay’s swallowtail (Graphium macleayanum). This member of the Papillon family – the only one found in Tasmania – has stunning green, black and white markings, and two distinctive black “swallow-tails” at the base of its wings. Its flight is jittery and jagged, its wings ceaseless except when briefly stopping to sip nectar. The female lays its eggs on the underside of sassafras leaves, which the resulting green, hump-backed caterpillars then eat. When the larvae pupate, the pupae are often suspended beneath the same sassafras leaves. The close and cosy relationship turns full-circle when the butterflies emerge and feed on the nectar of the sassafras flowers. They pollinate the trees in the process, paying back their hosts for bed and board, and ensuring that the secret stars will again fall from the forest in the coming spring.